Want to fix it yourself? No problem! Need Help from a Handyman? Call us! Our handyman services can help you get things fixed quickly and at an affordable cost. With our experience of building homes and remodeling, we know homes from the inside out. We can provide a basic handyman service to take care of small projects to an ongoing handyman service for larger homes, rental properties, and commercial projects. Realtors : Have a repair addendum that needs a quick response? Call us ! These are just a few examples of questions you may face when repairs are needed, or when a new house or addition is being planned. At V.A. 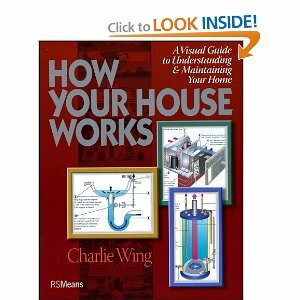 and Sons Construction, we help you to save money and recommend this book if you want to try and fix or repair problems with your home. At the least, if you need to call us, you will be better informed as to the cause of the problem and may help to save our time and your costs !